It’s only May and already we’ve had several days over 80 and a forecast for 90 degrees in parts of the Puget Sound area. As Seattleites, we love our temperate weather, and even 80 can begin to feel too hot. No wonder central air conditioning is top of mind in Western Washington. In part three of our series on Seattle air conditioning options, we will explore the age old question – do I go with central AC or a Heat Pump for whole home cooling? In our last post, we explored heating and cooling your home with a ductless heat pump system. For the majority of Seattle homeowners who have ductwork, often the most cost effective way to add whole home cooling is to have a central air conditioning or heat pump system professionally installed. Now we’re not talking about the window type of AC. A “central” air conditioner works with your furnace fan or air handler to blow cool air through your ducts. Wait, didn’t we talk about heat pumps as being ductless? Yes, we did. 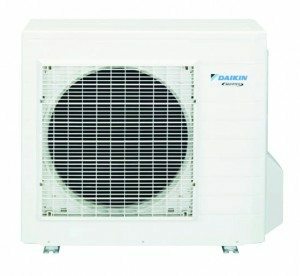 There are several types of heat pumps, including ducted and ductless. This discussion is about ducted air source heat pumps. What is the difference between an AC and Heat Pump? Let’s start with what they have in common. Both the heat pumps and AC units are part of a split system, meaning there is one indoor component and one outdoor component. Both sit outside and connect to your indoor furnace fan or air handler (a fan that moves air into your ducts). They both use broadly similar technology to cool, utilizing refrigerant to draw the heat out of the house. They connect to your thermostat and can be programmed to regulate overall temperature and humidity (depending on model). Today’s EnergyStar rated ACs and heat pumps are substantially more energy efficient than even 10 years ago. Our recommended Coleman line of products include heat pumps and AC models rated as EnergyStar Most Efficient, which use 50% less electricity than in the past. An outdoor or air source heat pump is one of the most energy efficient ways to heat and cool your home. Here in the Northwest, it will spend most of the year in heating mode. In fact, the cost savings you would have in heating vs an older gas, oil, propane or electric furnace will typically cover the cost of cooling in the summer, making your AC “free”. This type of heat pump sits outside of your house, and because it has to cool the whole house, it’s fairly large (approximately 40” tall and the width & depth range between 34”-42”). So you will need a space that can accommodate it, and will not be too close to your neighbors. Your Fox HVAC technician will properly measure and size your heat pump to fit your needs, and discuss any local noise ordinance issues. 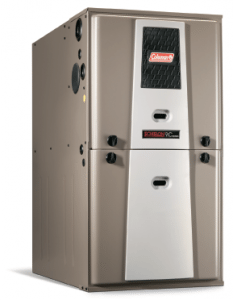 One of the main reasons that people choose to add an AC instead of installing a heat pump system is because they already have an energy efficient natural gas furnace that does not need replacement. Since our heating season is substantially longer than our cooling season, you may not gain substantial cost efficiency if you replace a new 90% AFUE or higher gas furnace with an air source heat pump. In that case, the lower initial cost of adding an AC only unit may make sense. In addition, the stand alone AC unit that sits in your yard may be a bit smaller than a heat pump. For a comparison quote on your central AC or heat pump system, or to get an existing system maintained and ready for summer, contact Fox. Have More Questions About AC Options? Check out our other blogs in this series about the Great Northwest Cooling Debate.